Marian Pierre-Louis has presented numerous webinars live on the internet. Most of the webinars have been recorded and are available for sale. To purchase the CDs please see the links to the various vendors below. You may be getting good results in your genealogical research but you could get even better results by using a research plan. A research plan will help you focus your time and energy and save you from researching something twice. Marian will show you how to create and use research plans to fine tune your research and get you back on track. This class was presented to a live webinar (online seminar) audience on July 18, 2012. 1 hour 33 minutes, plus 15 pages of handouts. Everyone needs a little help and encouragement to jump-start the research, especially on hard-to-solve cases. In this webinar, Marian will present 10 brick wall tips that will help every genealogist look at their research challenges in a fresh way. This webinar will bring you the momentum you need to get your family history research back on track. Supplemental material is included on the CD. This webinar discusses tips and techniques for breaking down brick walls. This techniques used to crack this case were based completelyon indirect evidence! Supplemental material is included the CD. Save money by purchasing all three Brick Wall CDs in a bundle! 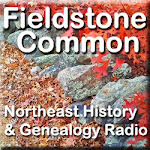 This CD provides and overview of researching in Connecticut and will help you on your way to finding your Connecticut ancestors. Supplemental material is included on the CD. From the arrival of the Pilgrims in 1620, Massachusetts has maintained some of the best-kept records for genealogists. This abundance has made it easier to research in the state. Even so, it's helpful to have a roadmap to cover almost 400 years of history. Join Marian Pierre-Louis as she provides an overview of researching in the Bay state and gets you on the right path to finding your Massachusetts ancestors. Supplemental material is included on the CD.